After a refreshing sleep on a Bedouin tent, you awaken to see a sliver of fire-red sever the horizon. The diamond stars fade as the rising sun mantles the cliffs of Ramon Crater in a thousand shades of red. 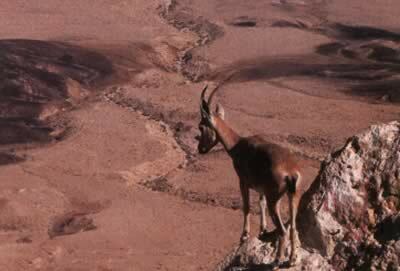 An ibex and her newborn stand precariously on the rim of the crater. Off in the distance the shrill of a bird is answered by the guttural complaint of a nearby camel. Another day of adventure in the Negev Desert begins. Jerusalem, Bethlehem, Nazareth, Galilee, are the perennial tourist destinations in Israel. Less known, but equally intriguing, is the Negev Desert. Making up more than half of Israel, the Negev is a place of awe-inspiring beauty that stretches from Egypt to Jordan and from Jerusalem to the Red Sea. Here the forces of nature have conspired to create unique geological formations in a habitat that is home to an amazing variety of plants and animals. Two of the earth's most unique geological formations, Ramon Crater and the Dead Sea, are found in the sculptured wilderness. In Ramon Crater, the world's largest natural crater (40 km by 9 km), you can repel down the side of the crater after an early morning camel trek along the crater rim. A museum at Mitzpe Ramon offers a panoramic view of the crater and an insight into the crater's geological history. From here you can hike to a Bedouin camp or explore one of the many archeological ruins that only hint at the human history that has transpired in the area. Camel and jeep treks along the ancient Spice Route or other desert trails last several days with nights spent under the stars recreating the ways of the ancient travelers. These once busy desert trails were conduits for knowledge, culture, and development. Remnants from the Canaanite, Judean, Nabatean, and Byzantine periods are waiting to be explored, including Nabatean caravansaries built 3,000 years ago, some of which grew into small towns. Ingeniously, these early people built water cisterns at the foot of flood valleys to catch the runoff after the rare desert rains. 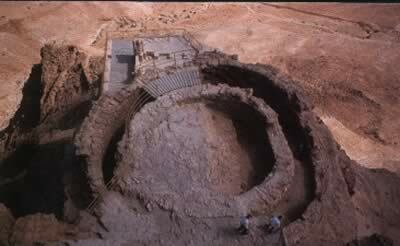 It is estimated that a Nabatean settlement could collect enough rain in an hour to provide a three-year water supply for their settlement. 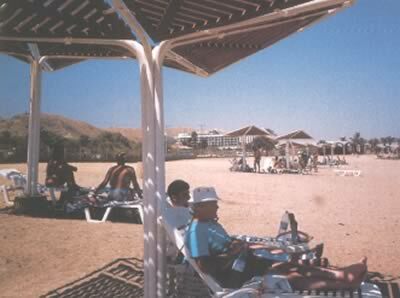 East of Ramon Crater, at 396 meters below sea level, the Dead Sea forms part of the border between Israel and Jordan. The water, white-rimed like a Margarita, varies from deep blue to turquoise to teal to nearly white. 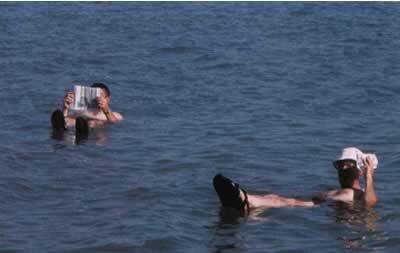 One look and you will feel the urge to lie back in the water, kick up your feet, and read a good book. The best part is...you can! The water is so salty that everyone floats. The River Jordan trickles down from the Sea of Galilee and gets no further; the water evaporates leaving behind a variety of minerals. The process has been going on for countless millennia so the concentration of salt is greater than ever, making water life impossible. The salt content is nearly 10 times that of the ocean. From the time of the Queen of Sheba, the waters have been touted for their medicinal purposes. Invigorate yourself by soaking in the warm, mineral-rich spa waters, slather your entire body with the curative mud and take a dip in the Dead Sea before rinsing off with fresh water. New spas are springing up along the shore for the treatment of skin and rheumatic problems. The desert has many hidden mysteries. Near Ein Gedi Kibbutz at the Nachal David Reserve, one of 160 reserves in Israel, well-marked trails lead to refreshing waterfalls surrounded by jungle-like foliage that provides a habitat for ibex, hyrax, and many birds. Other trails lead to mysterious ruins and a magnificent vista of the raw, naked mountains that surround the sea. Before the sun rises, climb the winding Snake Trail to the top of the Masada for a breathtaking view of the Dead Sea as the sun peeks over the mountains of Jordan. Spend the morning marveling at the engineering skills it took to create this fortress, including Herod's Northern Palace that appears to hang off the face of the precipice. The Masada was the last Jewish holdout against the Romans. Some 2,000 years ago, the defenders, their storehouses full of water, were able to repel the many assaults. Even as the Masada realized they were no match for the Roman troops, they agreed to die instead of surrender. By sacrificing their lives, they became a symbol of Jewish heroism, and the Masada, a site of pilgrimage. South of the Masada, the Red Sea waters near Eilat, which team with a multitude of colorful fish of all sizes, is considered one of the world's premier places for diving and snorkeling. Egypt, Israel, and Jordan are only a few miles apart at this strategic point, making Petra, the mysterious hidden city in Jordan, a popular side trip. Nearby, in Timna Park, amid some incredible geological formations are the remains of King Solomon's copper mines. Secreted between the Pollars of Solomon, a unique geological formation of sandstone columns, are petroglyphs, temples and abandoned mines. Another unique area to enthrall visitors. The wonderland that is the Negev is a picture book desert where the harsh dryness, consuming heat and intense light can thrill you - or kill you. It is no sterile, lifeless zone. Not only is the incredible geology of the area unique but also the flora and fauna. Over 1,000 different plant species and a strange variety of animals lay claim to the area adapting themselves to the dry heat and climate. 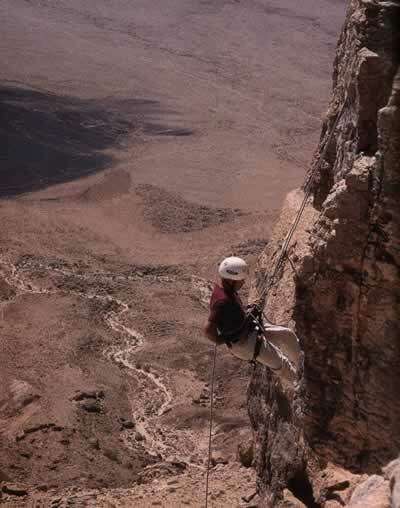 The absence of a thick covering of vegetation and the sparse population, mainly Bedouin, who cling to their nomadic ways, have helped preserve the Negev in its natural condition. Its history rings with words that titillate the imagination - the Spice Route, Pilgrim's Road, the Walls of Jericho, King Solomon's Mines, Sodom and Gomorrah, to mention a few. The Negev Desert is at once intriguing, mysterious and beautiful. This is Israel's vast natural playground - a place for hiking, jeep tours, camel treks, bird watching, rock climbing, repelling, swimming, sunbathing, snorkeling and diving. It is a place to explore nature and discover the past.